‘BEE-FRIENDLY’ – this is the motto Hampshire residents are being urged to take note of as a campaign to protect bees launches this week. National Don’t Step on a Bee Day takes place tomorrow. It aims to highlight the value of bees to the UK’s ecosystem and raise awareness of their plight. Official figures show the country’s bee population is in decline, and this is partly due to the lack of flowering plants, trees and shrubs that feed them. 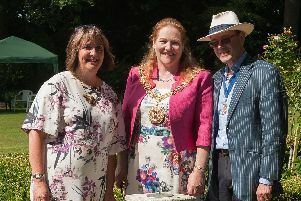 Now housebuilding firm David Wilson Homes has joined campaign and has vowed to make its developments bee-friendly, including those in Clanfield and Waterlooville, by planting a range of plants and shrubs in gardens to help promote the growth of the area’s bee population.